Quiaoit and Macias present on “Shark Tank.” It was a demonstration that landed them nearly $300,000 in investment from baseball great Alex Rodriguez. 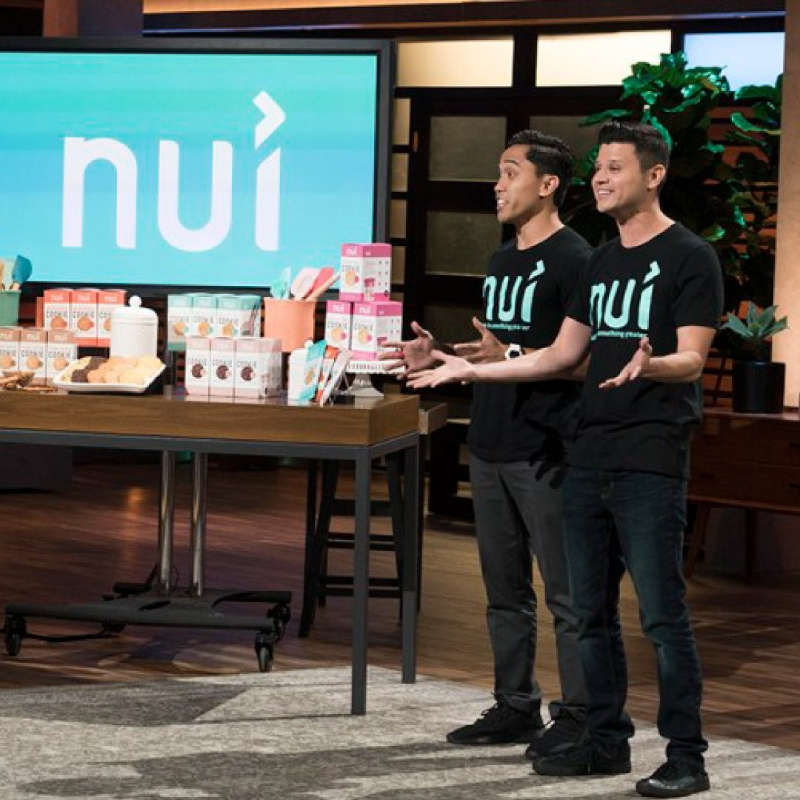 After netting more than $100,000 through crowdfunding campaigns, Nui Foods, the low-carb, low-sugar, gluten-free cookie brainchild of Victor Macias ’09 (entrepreneurship) and UC Irvine grad Kristoffer Quiaoit gained venture capital from baseball star Alex Rodriguez on the “Shark Tank” television show in 2018. The co-founders plan to build on their ground-up online following with an entry into the coffee shop and health food retail markets. Macias discusses the vision for his startup, the challenges and opportunities along the way, and how to turn entrepreneurial dreams into reality. What encouraged you to turn an idea borne from a personal sweet tooth while on the keto diet into a business? As part of the Volunteer Income Tax Assistance Program (VITA) at Cal State Fullerton, trained accounting students will be providing complimentary income tax assistance for both federal and state returns to low- and moderate-income residents who have a family income of $60,000 or less. 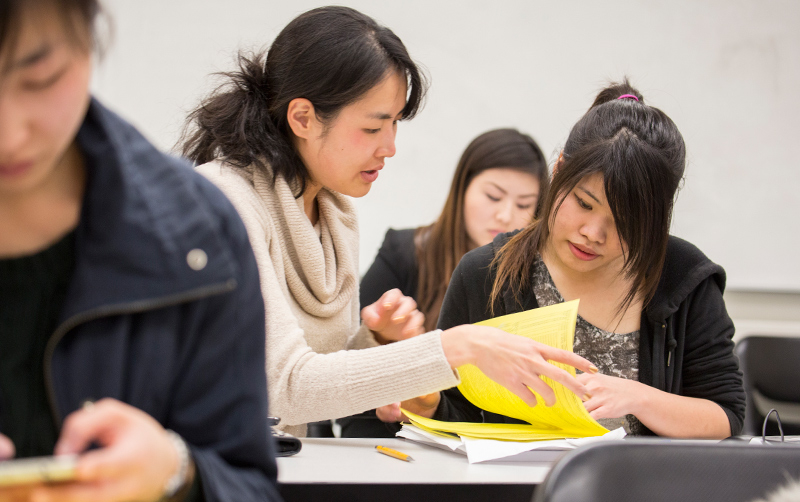 Part of a broader nationwide network committed to ensuring that tax preparation is available for free for those of modest incomes, the Cal State Fullerton program is the largest such site in Orange County and the only specializing in assisting international students as well as local residents. “It’s a great way to teach and give accounting students exposure to preparing tax returns. It provides a much needed service to the community and really does save a lot of people money,” says Jon Durrant, assistant professor of accounting and faculty advisor to the program. For more information, visit the CSUF VITA Facebook page. Or continue reading in this Daily Titan article. 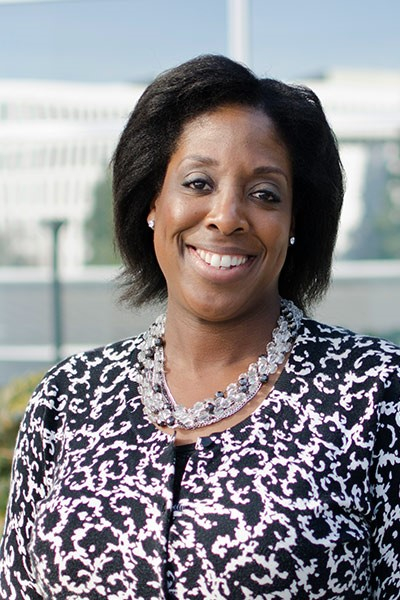 Charlesetta Medina ’10 (entrepreneurship), small business specialist and entrepreneur-in-residence at Cal State Fullerton’s Center for Entrepreneurship, has launched the Titan Women Collective, aimed at mentoring and developing the next generation of Orange County businesswomen. Open to junior- and senior-level students at the university’s Mihaylo College of Business and Economics, the program provides individual advising with achieving Southern California women business executives and support in developing vital soft skills such as negotiation abilities and self-advocacy. In addition to guiding the first cohort of students through the collective this year, Medina is also hard at work building a support network for the program in the Orange County community, including developing a board of directors and spearheading fundraising for the initiative. Working with existing resources within Mihaylo College, Medina has also connected the collective with the Women’s Leadership Program, enabling second-year students in the program to join the collective for even further focused individual development. Continue reading about this startup and how to get involved in this CSUF News article. After more than 35 years of financial leadership with the world’s largest automaker, recently retired president and CEO of Toyota Financial Services Michael R. Groff ’78 (management) will return to his alma mater to present at the Titan Future Leaders Series, which gives Cal State Fullerton students and others the opportunity to connect with top professionals across many industries. 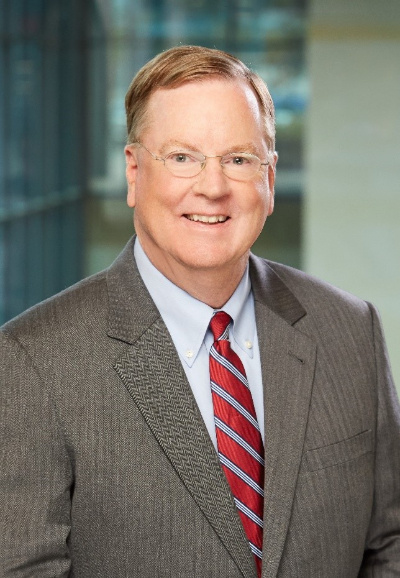 The event, scheduled for Wednesday, Feb. 6, from 11 a.m. – 1 p.m. in Titan Theatre, will be hosted by alumnus Patrick Donahue ’78, who will interview Groff on leadership insights, individual resiliency, personal development and a career retrospective. Free and open to CSUF students, alumni, faculty, staff and the broader Orange County community, the speaker series is jointly presented by the CSUF Center for Scholars and Student Life and Leadership, with a sponsorship from Bank of America. Read more on the event and the series at CSUF News, the official university-wide digital media outlet. 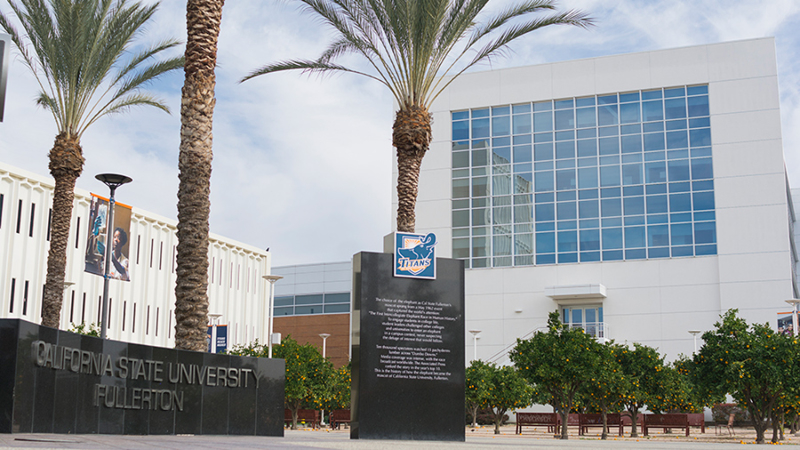 In its 2019 Best Online programs rankings, U.S. News & World Report, the leading reviewer and ranker of higher education programs in the United States, put Cal State Fullerton’s M.S. in information technology in 15th place and second in California only to programs at USC. The ranking, applying to non-MBA online business programs, was announced on Jan. 15, 2019. Offered through the Mihaylo College of Business and Economics, the fully online program, first provided in 2005, is designed for information technology professionals aspiring to expand their reach and impact in the industry. Featuring two courses per semester throughout the calendar year, students can complete the program in as little as 20 months. “Mihaylo College is proud of our highly selective program, which provides a flexible learning environment for working professionals,” says Morteza Rahmatian, the college’s dean. For more information on the degree program, including the new concentrations in information technology and data science, please see the CSUF Catalog. Read more about the rankings bestowed on this program and others at Cal State Fullerton at CSUF News. Ed Hart, director of Cal State Fullerton’s Center for Family Business, is passionate about the impact that family-owned firms have on the Southern California community and on those who work for and with them. His advice and leadership provides guidance and support that impacts Southern California local businesses across all industries. For dozens of Southern California business executives and visionaries, CSUF Center for Family Business Director Ed Hart has played a pivotal role in assisting their firms as they seek to stay competitive and impactful in the ever-changing 21st century environment and pass the leadership baton to a new generation. 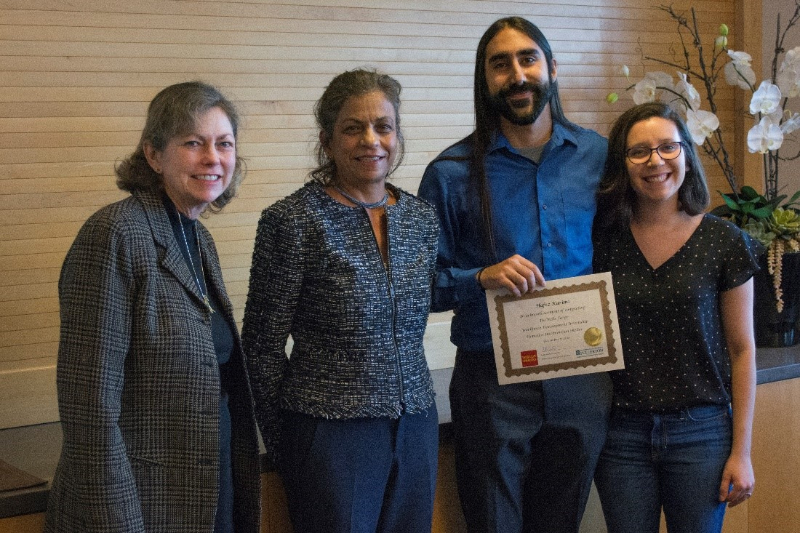 Mihaylo College Economics Senior Hafez Karimi ’19 (second from right) receives an award for his assistance of homeless residents at H.I.S. House in Placentia. Also pictured are economics professors Denise Stanley (far left) and Radha Bhattacharya, who is also the director of the Center for Economic Education (second from left). Fellow intern Adara Cervantes ’19 (economics) is at far right. Supporting an effort to provide workforce and financial skills for residents of Orange County homeless shelters, Wells Fargo Bank has funded an initiative that empowers the Cal State Fullerton Center for Economic Education to assist residents of the Homeless Intervention Shelter (H.I.S. House) in Placentia. With nearly 5,000 homeless residents, Orange County is actively seeking solutions to the plight of the region’s less fortunate. The Cal State Fullerton Mihaylo College of Business and Economics, operating with a $30,000 grant from Wells Fargo Bank, is working to ensure the workforce readiness of homeless shelter residents through one-on-one coaching, mock interviews, and direction on how to find and utilize resources to enhance their skill set. The grant-funded program began in fall 2018 and works with Homeless Intervention Shelter (H.I.S. House), a transitional living facility a little more than a mile from the main Mihaylo College campus. The program tasked the university’s business students as interns to provide weekly site visits in which assessment, surveys, lesson plans, and targeted vocational and financial education resources were provided to the house’s residents. The interns provided the program’s beneficiaries with information on current job opportunities; what employers are looking for; and supporting digital and traditional employment search tools, including résumé and online profile development. Financial coaching included guidelines on how to stay within a budget and advice on avoiding scams, identity theft and emergency shortfalls. Recognizing the importance of basic educational skills, English language education, literacy and numeracy, and software and office skills were an integral component of the program. Student interns reported on their progress at the end of the fall semester in December, with Hafez Karimi ’19 (economics) awarded for being most impactful at the H.I.S. House outreach. Mihaylo College’s Center for Economic Education engages the Southern California community with personal financial development and workforce development skills. This includes outreach to local schoolchildren, such as an annual Economic Literacy and Business Olympiad that enables local secondary students to perfect their business and economics skills while competing for scholarships, through such activities as reading business and economic news from The Wall Street Journal and stock market games for high school and middle school youth. Other center initiatives include an IDA program sponsored by U.S. Bank intended to reduce the financial burden of attending college for Cal State Fullerton students, and financial literacy workshops for underprivileged teens. For more information on the center, visit them online. Or read more articles about the center and its impact. With a student, faculty and staff population exceeding that of many cities, the Cal State Fullerton community faces the challenges of preparing its IT infrastructure for the cybersecurity demands of today’s wired world. Tony Modiri ’91, head of information security for the campus, looks at how the university is staying safe and offers advice you can use, whether at CSUF or in your personal life. When checking your campus email, you notice an email message claiming to be from a faculty member a friend had as a professor a few semesters ago. It says your account will be terminated in a few days, but by clicking on the link, you can ensure continued access. 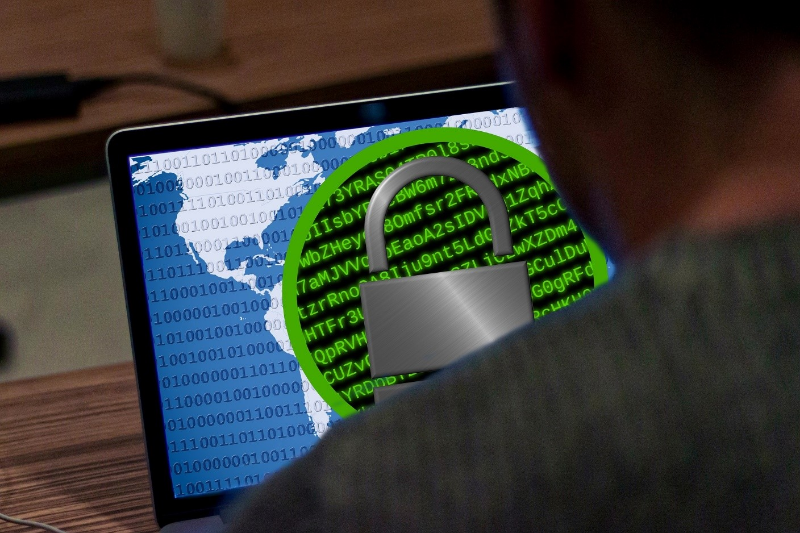 By using an appeal to fear, the senders hope you will click on the link, only to find yourself in an unsecure space, with no relationship to CSUF, where cybercriminals can steal your personal information. Tony Modiri ’91 (business administration and computer science), Cal State Fullerton’s head of information security, is at the forefront of thwarting such attempts to hijack the campus’ digital networks for nefarious purposes. 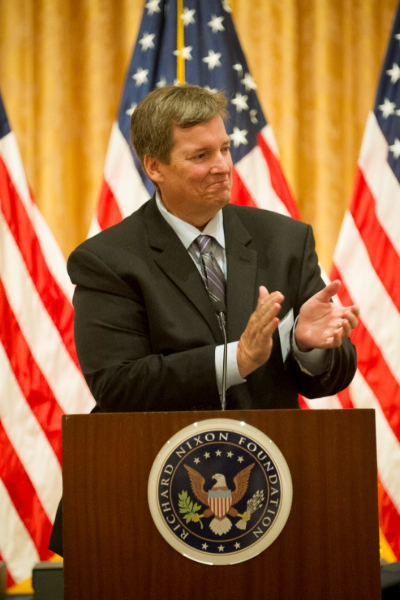 Under his leadership, the campus has stayed at the forefront of organizational security by building strong defenses against threats and preventing dissemination through the network. Jason Szolomayer ’02 (finance) is the founder of 3dp4me, a nonprofit dedicated to providing hearing aid solutions to the world’s underprivileged through 3-D printing. The Cal State Fullerton grad’s first project is providing ear molds for hearing aids to Middle East refugees and low-income residents in Jordan. When longtime Costa Mesa resident and CSUF finance grad Jason Szolomayer ’02 taught English in the Middle Eastern kingdom of Jordan, he volunteered at the Holy Land Institute for the Deaf and Blind, where he witnessed firsthand the challenges of providing aid to the hearing impaired. Globally, according to the World Health Organization (WHO), some 466 million people have a hearing disability worldwide, 70% of whom are in developing countries, where such a challenge can result in loss of employment, education or self-development opportunities. As many as 34 million school-aged children worldwide struggle with hearing challenges. Working with his partner, Brother Andrew de Carpentier, chair of World Wide Hearing, Szolomayer changes lives with 3-D printing technologies, which creates personalized silicone mold aids. 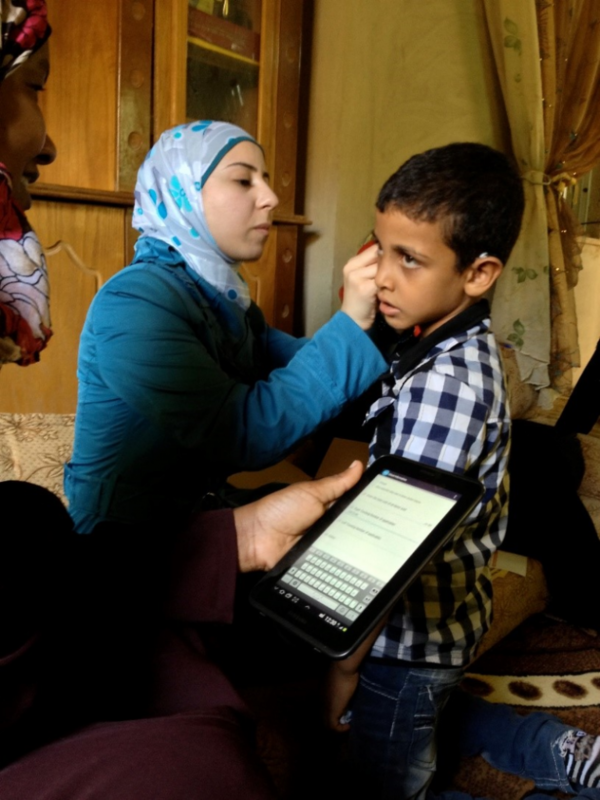 Their new nonprofit, 3dp4me, an acronym for “3-D Printing for the Middle East,” is currently fundraising and registering to offer hearing aid molds to those in need, particularly children. 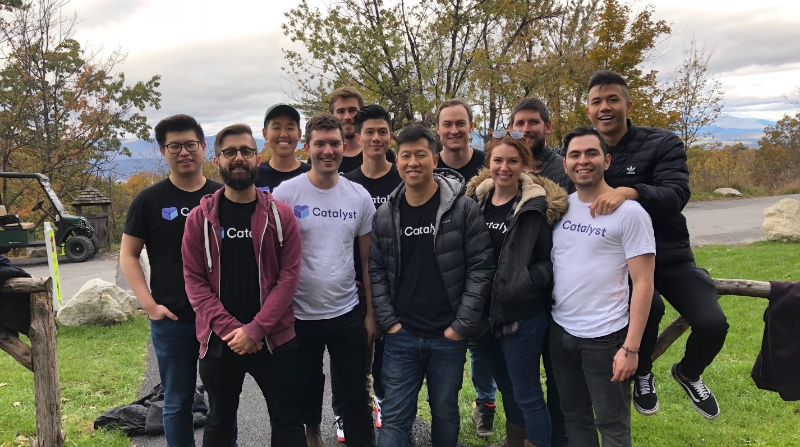 Kevin Chiu ’14 with his team at Catalyst Software. Chiu says effective recruiting is vital for startup success. Catalyst Software Co-founder and Chief Operating Officer Kevin Chiu ’14, a marketing graduate from Cal State Fullerton’s Mihaylo College of Business and Economics, has been named a Forbes 30 Under 30 honoree for the Enterprise Technology 2019 list. The 27-year-old’s startup provides an integrated platform enabling client-focused account managers in companies to track, identify, and respond to customer metrics and trends. By consolidating data, emails, notes, reminders and memos, the platform enables their customers to easily identify churn risks and upsell opportunities, which include small- to medium-sized enterprises, in addition to larger corporations.